Comments Off on Rising Base Metals Rocketing to the Top? Base metals are essential in the growth of the infrastructure, manufacturing and utilities sector of the UK. The mining of base metals refers to major industrial non-ferrous metals like nickel, copper, tin and aluminium. It is the dramatically increasing energy and urbanisation demand which are making the need for the metals rise, as well as the fact that they are used for automotive systems, metal coatings, electrical systems and make many goods more durable. But will fluctuating prices negatively impact the base metal market? In 2014, Lead-zinc accounted for 24% of the global market and copper accounted for 16%. Zinc was popular due to its specific characteristics, such as its unique bonding abilities with other metals, anti-corrosive properties and it has the ability to galvanise well. The attributes have boosted its use considerably. Copper is predicted to rise, forecast until 2023, thanks to its proven strength in the infrastructure sector. The use of tin is also set to rise through the use of tin coating for electronic components in the automotive sector. However, the most interesting sales increase seems to be a very specific area of the Nickel world to increase its sales – this seems to be nickel plating – though the reasons or sectors remain unspecified. There are two types of Nickel Plating – Electroless Nickel Plating (ENP) and Diffused Nickel Plating. Diffused Nickel Plating is a simple process which is the most effective nickel coating, ensuring a high resistance level against corrosion. This is thanks to its total encapsulation plating method. It has been proven that their corrosion resistance is more effective than that of the highest grade stainless steel, whilst at the same time being much cheaper. Diffused Nickel Plating is the perfect plating method if your components are used in marine or salt environments. This gives them a 30 year sub-sea guarantee. In a similar way, Electroless Nickel Plating is a high quality but cost effective solution to metal coating which can extend the longevity of components dramatically. It is creates a good resistance against corrosion and is often used in marine, oil and defence industries. Electroless Nickel Plating prevents rust, wear and friction. It can also be hardened through the use of heat treatment and is guaranteed not to chip or flake, like paint or varnish does. 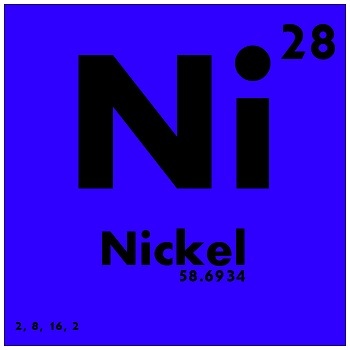 A question often asked is…What is the different between the two types of Nickel Plating? The basic answer is very simple – the plating processes used are very different. It has already been deciphered that Diffused Nickel Plating occurs when the encapsulation plating method is performed but this is not the same as Electroless Nickel Plating. The process for this occurs when a layer of even thickness metal is deposited evenly over the surface of a component, no matter what its shape. The uniformity in its coating means that it is the perform plating method for components which are used in particular industries, such as Healthcare, Defence, Automotive and Aerospace, where the components are often not standard, need to be hygienic, regularly cleaned and are under constant stress. April sees the MACH exhibition at Birmingham’s NEC, where manufacturing in motion will be made visible to anyone wanting to view different techniques and products related to many services, including that of heat treatments, hard coatings and developmental services. Groups, such as Wallwork Group, are returning again to exhibit here, to celebrate their new expansion project which allows them to offer customers a wider array of heat treatment services, hard coatings and development services. For businesses such as Wallwork Group, exhibitions such as MACH, are important ways of bringing business and contacts together from across the industries. These can include aerospace, automotive, medical, military and engineering contacts which are the most commonly used industries. Specialists, skilled labourers, technical engineers and highly knowledgeable scientists combine their expertise to guarantee that you gain the product and information that you require so that you gain the perfect component parts for your business. They are all at hand to help guide you towards the components which is best for you whilst also, often, making you a great, one-off show day deal, to aid with the financial side of things, too. So if you are in the aerospace, automotive, medical, military, engineering, oil and gas or energy/power industries then MACH could very well be the placed for you. With new creations, the latest of developments and all the manufacturing technologies you could possibly need, there will be over 600 companies exhibiting this year for you to see. At the last MACH there was 6,500 tonnes of live working machinery on show and two years later, it is set to be even bigger. If you are interested in attending or finding out more about heat treatments or hard coatings then why not get yourself to Birmingham NEC from the 11th to 15th April – We guarantee it will be worth it if you are in the specified industries. Shot blasting is a key factor in the fabrication process. It is essential so that a clean finish can be provided in order for welding to be undertaken. It also enables a keyed surface to be produced so that paint can be accepted by the prepared façade. 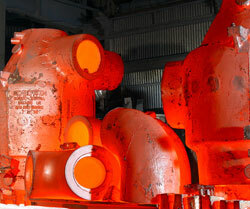 Shot blasting is undertaken by shot being fired or ‘blasted’ directly at steel, yes, the process is all in the name. The force of the shot being blasted at the surface of the steel displaces dirt and scale, therefore cleaning the steel and preparing it for the welding process. This is due to the indentations caused by the shot repeatedly hitting the steel surface, creating a rough texture, which is approximately 70 microns deeps. Due to this abrasion, it enables paint to stick properly and long term to the steel surface, which creates protection and aids longevity to a component part. The shot blasting preparation is often performed prior to the electroless nickel plating process, but for this to happen the surface preparation must be high quality and thorough, which is why shot blasting is used. To achieve the ultimate final surface finish, chemical cleaning and activation processes, such as aluminium oxide 180-220 grit are used. By choosing us to undertake your shot blasting and electroless nickel plating solutions, you know that the standards met will be the highest every time. At us, the stainless steel shot blasting booth has the capacity to take 216m³. This minimises the particles which settle on the component parts during their shot blasting or heat treatment processes. If you or your business are interested in the shot blasting process, electroless nickel plating or heat treatment which may require specialist assistance, then get in touch with us? A Derbyshire based company, we are leading specialists in the plating industry offering a wide range of well-developed, tried and tested techniques which are high-end as well as also being cost effective. We have experience of working for many different industries, including the aerospace, medical, army and automotive industries, to name but a few. We offer our services to the whole of the UK, Germany, France, Brazil and Holland. Call us today on our phone number or alternatively you can email us at info@metal-finishing-company.co.uk if you need more information. Comments Off on Why Choose Electroplating? Electroplating is a modern form of metal finishing. It is commonly used in the automotive, aerospace, medical, army and electrical industries. 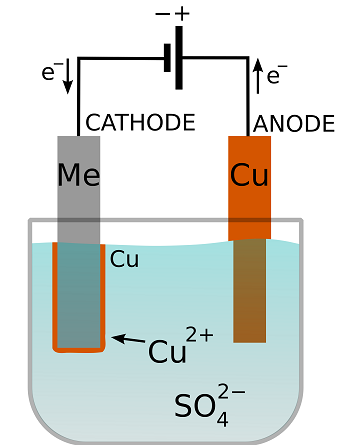 It occurs by means of an electrochemical process when metal ions in an electrolyte solution bond to a metal substrate through electrodeposition. The required metal component is suspended in solution, whereby a direct power supply provides a direct flow of current to the said metal component in the chemical bath. This current provokes the ions in the solution to attract to the surface of the metallic part, resulting in a metal coating which covers the base metal thoroughly. Plating facilities match base metals with a wide array of coating surface metal finishes. The most commonly used in this field are copper, brass, nickel, steel and bronze. In order to decide which surface metal is used to coat for the finish, the components uses are highly considered so that the manufacturer can get the highest performance and longest lasting component part electroplated. Gold plating is the perfect solution for electrical conductivity, heat protection and corrosion and can survive in a multitude of environments and temperatures. Silver plating is commonly used in the electrical industry dues to its low electrical resistance. Nickel plating is ideal for the chemical industry. It protects against chemicals and is corrosion and wear resistant. Copper plating is most commonly used in the automotive industry. 2008 saw the beginning of the EU process which took four years to put in to place, preventing incandescent light bulbs from being sold. This was because they performed inadequately and were not eco-friendly due to the high amount of electricity they consumed. The LED has therefore taken its place on our supermarket shelves, as they are proven to be much more efficient. The electronic and automotive industries, as well as most British households and road engineers for road lighting applications, are using LED lights. The LED substrate can be silver plated either conventionally by rack or less conventionally by reel-to-reel plating procedures. Plating differs depending on the thickness, and ranges from 20 to 150 A/dm², normally. 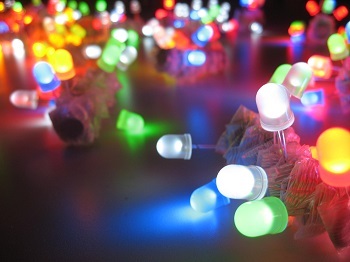 How are LED lights so bright? This is due to a low free-cyanide silver process which contains brightener additives. This creates high luminosity. These LEDs are much more eco-friendly, cost effective and use a fraction of the amount of electricity of an incandescent light bulb. The silver deposits used to plate the LEDs were initially heated for 60 minutes at 200° and then for 120 minutes at the lower temperature of 170°C but it was quickly identified that significant reflectivity was lost during this. So it was decided that a post-dip was going to be used in order to prevent the reflectivity loss, in the form of an aqueous treatment post heat treatment. 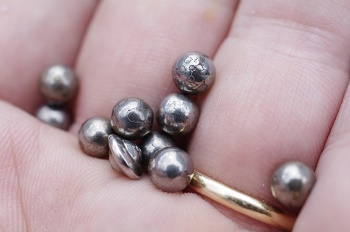 This seems to have worked, having been tested on multiple different types of nickel, at higher temperatures and with the nickel being treated for shorter lengths of time (up to 1 minute), as the GAM measurements do not diminish dramatically at all. Thus, proving the effectiveness of the combination of plating, heat treatment and the post-dip aqueous treatment as a trio. The idea of a specialised coating is for the surface of metals to be permanently enhanced by them. This can be used on other substrates as well and on many components and equipment, too. These specialised coatings, in effect, act as a deterrent and solve wear, corrosion, lubricant and release problems. But to choose the best coating for you, the most important things which must be taken in to consideration is the operating environment. Surface coating usage has grown enormously in the automotive industry over the last fifty years. Initially, the internal combustion engine was usually manufactured from cast iron, forged steels and die-cast aluminium alloys – Heat treatment provided the wear surface for these elements along with white metal or bronze bearings. They were oiled and lubricated to allowance clearance between moving surfaces. Half a century later, this method is still used today, though we need and expect more out of our cars. We expect them to last longer, drive considerably more substantial distances and we need them to abide by our emissions regulations now, too – no mean feat! In case that wasn’t enough, we expect our cars to do all of this with less fuel and lighter engines which have a lower tolerance to engineering and lower friction between their moving parts. Due to this, a wider range of materials and coating variety have been required by us all, so that the wear, corrosion and friction problems and expectations could be overcome. Piston rings, skirts and pins are coated frequently by hard-wearing, low friction coatings. This is to help the initial running-in and advocates long-life performance. It also helps with lower oil lubrication levels which are commonly associated with cold engine starts and reduces the amount of lubricant allowed to enter the combustion chamber. Ceramic coatings provide the thermal insulation of piston crowns, usually in diesel engines, where increased and high temperature thermal spray or vacuum use methods are often practiced. Mating cylinder linings can be coated with electrolytic or electroless plated composite finished which incorporate hard particles of silicon carbide, diamond or boron nitride. The engines design and performance influence are what enable the design engineer to make the coating choice. Bio fuels have caused a large amount of corrosive issues with the fuel input systems, fuel storage and fuel delivery systems. There are a great array of thin coatings which can be applied to these areas in order to prevent corrosion from occurring such as electroless nickel plating which is often enhanced with the use of powder coating or e-coat top coats. us are leading suppliers who are experts in electroless nickel plating. We are a Derbyshire based company who undertake many processes to the highest spec for you. These include diffused nickel plating, shot blasting, nickel boron plating, nickel diamond plating and so much more. So, if you are interested in finding out more about these processes then give our friendly and professional staff a call on our phone number or email us at info@metal-finishing-company.co.uk. Alternatively, you can click here and go directly to our website to find out more about us and our processes.